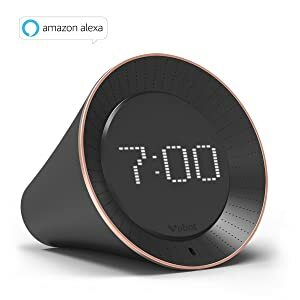 Best Smart Alarm Clock Reviews: Top 9 in April 2019! Do you struggle to get up and out of bed in the morning? Sure enough, this is a common battle for most of us. Quite often, we rely on our smartphone alarms but their loudspeakers suddenly get us up from our deep sleep ruining the whole day. 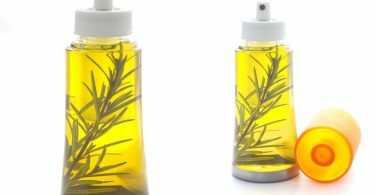 However, there are many trusty options out there, perfect for individuals like you who cannot stand the ring of an alarm. In this article, I will show some of the best smart alarms on the market. Additionally, I will provide you a brief why it stands out. Regardless of your preferences, one of them will definitely be perfect for your morning wake-up call. 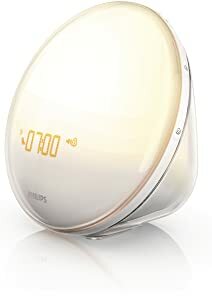 The Philips is one of the most popular smart alarm clocks favored by people. I personally find it one of the best in the alarm clocks industry because it helps me to wake up more naturally and gradually. I was impressed to see that it eliminates the need for blaring tones or multiple snoozes. What sets this alarm system from others is the colored sunrise simulation feature that mimics the rise of the sun. The light gradually increases until it reaches the maximum brightens at your desired wake-up time, stimulating your body to wake up more naturally. Better yet, the light is UV free so you can wake up with an improved mood and energy level. It is interesting to see that one can freely switch through each of the five different nature-inspired sounds. Besides, the sounds are gentle so that you transition comfortably from deep to shallow stages of sleep. The Philips acknowledges that light sensitivity varies per person. It, therefore, allows you customize it to your desired level. I liked this alarm because other than serving as an alarm system. It has dimming lights at night that helps you slip gradually into a restful night sleep. It is nice that this alarm system is made to be user-friendly. You can tap it anywhere on the light after the alarm goes off to activate the snooze function and give yourself extra minutes of sleep. Once you fix it on your nightstand, you can rest worry-free because the rubber feet secures it nicely. The Sense is an insightful sleep tracker specifically designed to help you sleep better and wake up feeling great. With this sleep tracker, you can easily discover the trends in your sleep quality. Besides, it helps you understand how the environment around you affects your sleep. This Sens sleep tracker is one of the coolest alarm systems I have come across. I was shocked by the technology engineered in this system. This is a cousin to the robots out there. Imagine, I can speak to it like a robot when I want to know how well I slept and the time I want to wake up. The Sense sleep tracker understands that ambient sounds can help you fall asleep and stay slumbering all through the night. It comes with a selection of calming sounds that will soothe you to drift off to sleep. This alarm system is keen to wake you up during the lightest phase of sleep; this ensures that you will wake up more energized and ready to take on your day. The Sense sleep tracker comes with sleep patterns customized to yours to help you make the most out of your sleep. 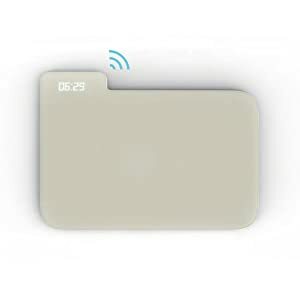 If you are looking for a great alarm clock, you may want to consider the WITTI smart alarm. 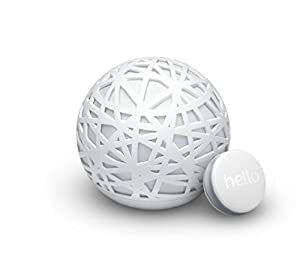 It is an all-in one alarm system packed with plenty of features to help you drift off to sleep and wake up feeling refreshed. I liked the fact that it comes with an app that is very easy to use. Whether you are a first-time user or not, you cannot have difficulties operating it. Another cool thing is that it is fully customizable so you can set up to four different alarms. The BEDDI smart buttons allow you to automate your smart home devices with a click. In other words, this is an all-in one alarm system. It combines all the features of a standard alarm clock into an attractive and functional design. You don’t have to leave your phones or tablet charging in the table room at night. This alarm clock features two charging ports that I find useful when I want to use my phone or tablet in bed but the battery is down. 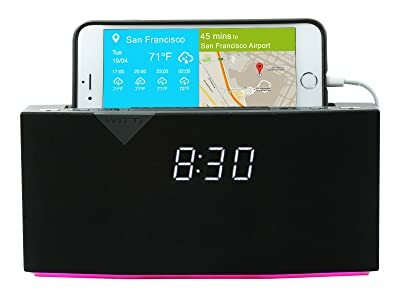 This alarm clock has two high-quality speakers, a Bluetooth connectivity and it fully integrates Spotify. This means that it can wake you up with your favorite music, thus starting your day in a good mood. This alarm system features multi-color lights to blend the atmosphere with your moods. In addition to this, it has a wake-up light that simulates a sunrise to help you wake up naturally. The Echo Dot is a hands-free voice-controlled device with a small built-in speaker. However, it can connect to your speakers or headphones over Bluetooth to deliver stereo sound to the speakers. As already mentioned, the Echo Dot is hands-free so it connects to all other echo devices in your house with just your voice. This means that you can do more like controlling lights, fans, garage doors, etc. with it. It is also nice to see that it features an array of 7 microphones that use beam-forming technology and enhanced noise cancellation. It senses your voice from across the room even in a noisy environment. This device is designed to recognize and respond instantly to your request. 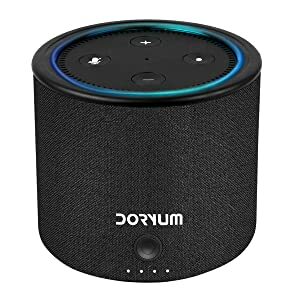 The Echo Dot built-in speaker means that it can work on its own as a smart alarm clock in your bedroom or anywhere that you use a voice-controlled computer. Echo Dot provides a hands-free voice control for Amazon music. Whatever song, genre or mood you want, it will play for you. That is not all. With the Echo Dot, you can also set a music alarm that wakes you up to your favorite song. The magic of this device is out of this world. It features more skills that add more capabilities; like ordering pizza, calling Uber, controlling DISH hopper and more. If you want to use a new skill, all you need is to ask Alexa app. The Echo Dot is designed to be a convenient addition to any room whether it is a bedroom or a kitchen, thanks to its built-in speakers. Philips is the modern bedside lamp inspired by the brightening light of sunrise to wake you up more naturally. The Philips wake-up light is designed to wake you up naturally by gradually brightening over a 30-minute period before your desired wake up time. The lights continue increasing until your room is filled with a bright yellow light. The increasing light intensity is clinically proven to stimulate your body to wake up more naturally. You can add an extra 9 minutes of sleep after the alarm has gone off. Just tap anywhere on the unit and the alarm will play again after the 9 minutes. Best of all, you will hear a gentle beep that increases in volume within 11/12 minutes, when the sun is at its brightest to complete the wake-up experience. Other than being a dawn simulator alarm clock, this unit can also be used as a bedside lamp. You can switch through 10 of the different light intensities if you want to read in bed. Besides, the dimming lights have soothing abilities and will help you sleep better. The Philips features a sleek and modern design that ensures it is convenient for any room. Another good thing about this smart alarm is its user-friendly interface. The display is large and you can easily read the instructions without straining. Witwatia alarm clock presents the most innovative way of getting up in the morning. There are so many smart alarms, but none of them as effective as the Witwatia. This alarm system is designed to bring a lasting solution to your lazy mornings. By design, this alarm will sound continuously until you get up and stand on the rug for more than 3 seconds. It goes off when you literally wake up! You do not have to step on the alarm clock. A slight press with your toe will help you know the time right away. In addition to the default alarm sounds, you can customize it to wake you to your favorite song from your computer or USB disk. The unit has a bright LED light, which doubles as a bedside lamp. The Witwatia alarm clock comes in a pretty and compact design that will match any tupe of room decoration. This alarm clock mat is made using a high-density memory foam wrapped with a soft flannelette, making it one of softest mats you can find for your feet. Another great hand free alarm clock by Echo Spot. The Echo Spot is small and compact in size and this design makes it ideal for any room. 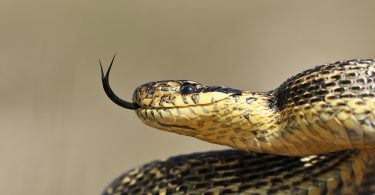 However, the small size does not compromise its performance. The 2nd generation far-field voice recognition allows you to watch the video, listen to songs, see weather forecasts, and do everything all hands-free. Even better, the screen is angled so that you clearly see everything you want. 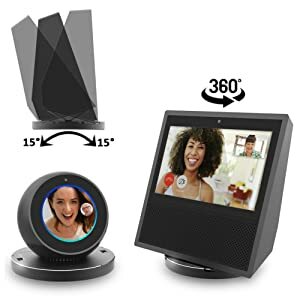 Echo Spot has a small built-in speaker that connect directly to speakers over Bluetooth. This allows you to play your favorite music on all your devices. 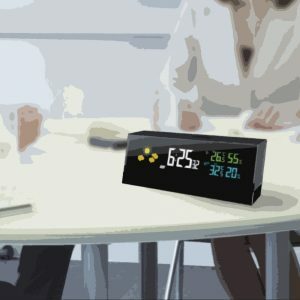 Furthermore, it connects to Alexa (cloud-based voice service) to play music, set alarms, control smart home and more. Echo Spot works with all smart-home devices, making life better. Everything is hands-free, all you need to do is to make vocal commands, and Echo Spot responds instantly. If the lights are very bright just ask it and the light dims without you lifting even a finger. It also helps you to control multiple devices with a single command. For instance, you can command it to lock the doors and turn off the lights when you sleep. Signing into Alexa app brings the whole world closer. If its news, you get them at a glance, just ask the app for your news flash briefing, latest movie or ShowTime. Setting this unit is as simple as ABC. Just plug it in and connect to the internet and you are good to ask for anything. The Vobot is a smart clock with artificial intelligence to spruce up your lifestyle. If you always have difficulties trying to sleep, this clock can help you fall asleep through fine tunes that relaxe your mind. Again, it can make you a wake up warrior if waking up is a challenge; all you need to do is to bypass the snooze button. The Vobot comes with a LED dot-matrix display, which makes everything crystal clear at first sight. Another feature of the display is the fact that you can customize it with multiple options such as world clock and dates. If you love music, this is a good choice. The built-in speaker fills your room with sound during music playback. For this reason, you can enjoy streaming media from Amazon, iHeartRadio, etc. That’s not all; you can even upload your personal music to your music library. It is nice to see that you can take it with you as a hands-free device, provided you have fully charged the battery. Better yet, when the battery drains, it will automatically go into deep sleep and wake up just before the next alarm. This is an advantage because you do not have to leave it charging overnight. The coolest thing is that even after a power outage, the clock will always show the right time once reconfigured. Very few smart alarms allow you to set recurring alarms, but with the Vobot, you can set an alarm and reminder with voice command. What has impressed me is the easy-to-trigger snooze that allows you to simply snooze or activate mute. This gives you the ability to take a quick nap and continue with your sweet dreams. 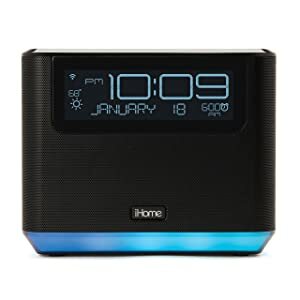 iHome is one of the most awesome alarm clocks on the market today. Undoubtedly, the iHome system is certainly one of the best. The iHome bedside speaker system combines plenty of Alexa voice built-in features for maximum performance. In fact, I have not seen such a combination before. This unit is well designed. What I liked most is seeing that you can easily configure the unit to play your favorite song with a single press. Also, you can control how the music plays with a single press. If reading small writing is a challenge for you, iHome has a large digital display so you can see the alarm time and outside temperature at a glance. There is an integrated light bar that provides accent lighting on the bottom of the cabinet for a soothing sleep and wakes mood. The built-in Alexa voice allows you to voice control your smart devices from anywhere in the room. And because the built-in speaker connects directly via Bluetooth, it allows you to stream your favorite music. You can leave your phone charging while you sleep. I find this feature useful because you need some time with your phone before you drift off to sleep and sometimes it could have a low battery. There is no one particular alarm clock that is best for all, because of our differences in sleeping patterns,and tolerance to noise, among other factors before and after bedtime. For this reason, I have prepared this guide to show you things to look for when buying a new alarm clock. You need to be careful with the light color you choose because some light colors, such as blue, can disrupt your sleep and you may not realize it. The best alarm clock should have warm colors such as red, yellow or orange especially if you use the alarm as the bedside lamp. Warm colors soothe you to sleep continuously at night. 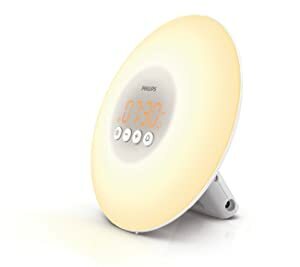 However, if the alarm clock has light simulations for a gentle and more natural wake up, make sure the color is bright enough to stimulate your body to wake up. Because of our varied tolerance to sound, you need to find one that perfectly fits your sound needs. A loud alarm will annoy you as soon as you get up. Luckily, modern smart alarms can use wake up light, radio, songs, and natural sound to get you up. If you are a light sleeper, an alarm with a gentle natural melody is ideal for you. However, if you are a deep sleeper then resort to a more traditional sound with vibrations to stimulate your body to get up from the dreamland. A good alarm clock should be able to fit well in your nightshade. So, how an alarm clock is designed is an important consideration. Keep in mind that the more the features, the bulkier the clock. For convenience, make sure that the alarm clock has a compact and pretty design. Sleep is sweet and it may be difficult to wake up right away after the first beep. If you are a light sleeper, you will be fine with an alarm clock when the snooze button is placed on the top part of the alarm. However, if you are a deeper sleeper or you always find yourself postponing your wake up time, find one whose snooze buttons are placed at the back to ensure you literally have to wake up to turn it off. Power can interrupt how your alarm clock functions and may get you waking up very late in the morning. Alarm clocks can either use dry cells, rechargeable batteries or even rely on a direct plug in the socket. Due to power outages and travel convenience, it is recommendable to buy one that uses rechargeable batteries. This post summarizes the reviews of the 10 best smart alarms on the market. As a bonus, the brief guide helps you to navigate through the buying process with ease. To avoid being caught in the noise, take advantage of the alarm clocks reviewed here. This will save you a lot of time and unnecessary headaches trying to find a good alarm from hundreds of smart alarms with nearly the same specs. Compare their unique features and see what suits you best. Kindly let me know what you finally choose. Best of luck.